The last two years have seen a huge amount of academic, policy-making and media interest in the increasingly contentious issue of ‘land grabbing’ – the large-scale acquisition of land in the global South. It is a phenomenon which has generated rapid processes of change, often going hand in hand with social and environmental conflicts, and one about which national governments, multilateral organizations such as the World Bank and FAO as well as civil-society organizations and action NGOs have become increasingly vocal. At the same time, the private sector is searching for ways to make their businesses more inclusive and ‘responsible’. 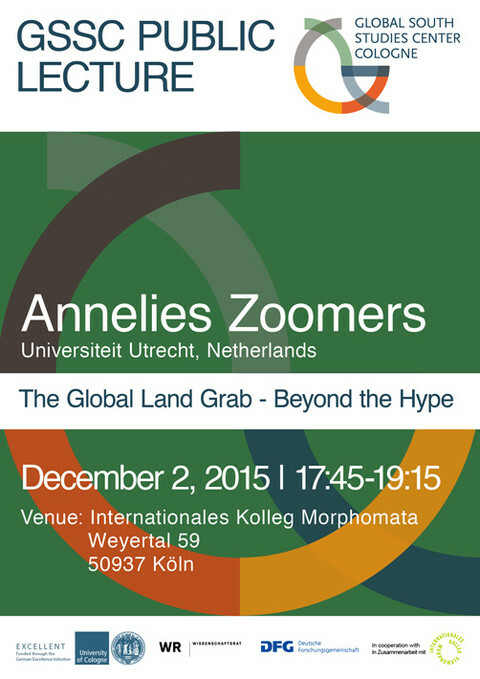 This lecture take a step back from the hype to explore a number of key question: What is the current state of the ‘Global Land Grab’ and under what conditions can large scale land acquisitions contribute to inclusive and sustainable development? In order to understand current land grabbing practices and to design solutions, we need to go beyond the hype and systematically scrutinize the global land grab in terms of its volume and forms, actors, and consequences.